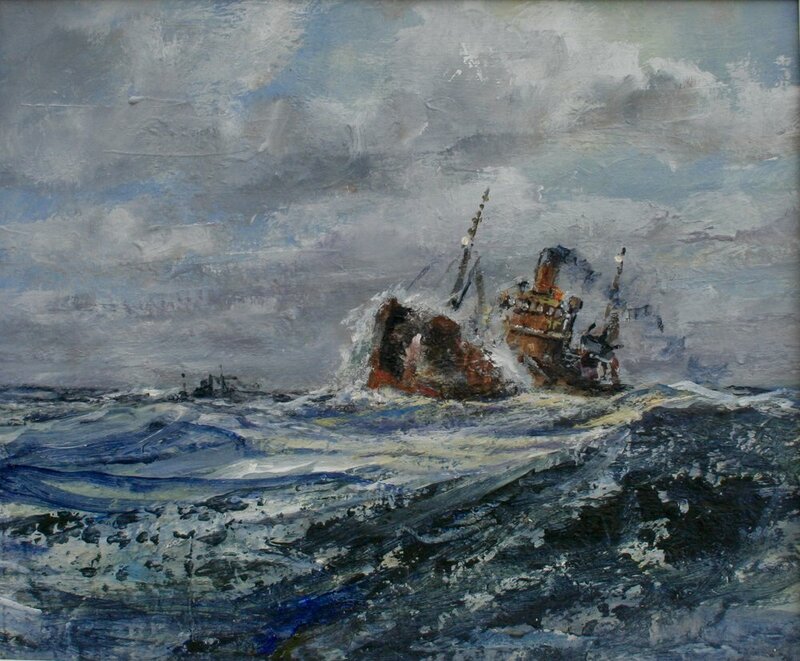 Born in 1927 in an East coast fishing village to a seafaring family Russ Foster's artistic interests began with small watercolours painted during his long sea voyages in the Merchant Navy, which he then used to produce larger works in oils and acrylics on returning home. He is particularly interested in fishing and off-shore oil scenes. and his work is to be found in numerous galleries in the UK, together with being hung in the offices of various shipping and oil companies. He was been a past winner of the National Acrylic Award. Having initially joined the Merchant Navy in 1943 as a deck boy, he later worked for British Columbian Fisheries in Canada. On his return to the UK he continued to work in the fishing industry in Scotland before moving to Great Yarmouth where he now lives. All of his paintings are Acrylic.